Christmas is my favorite time of the year! This year I feel like I am finally going to be able to enjoy Christmas since I will not be stressed with papers and exams up until Christmas. Unfortunately, my husband will not be able to enjoy the Christmas season with me until December 19, at about 5:00 pm. On that day he will be taking the NBDE Part 1, which means up until that day he will be studying like crazy – prayers are greatly appreciated! Although he won’t be able to enjoy as much Christmas this year I am going to make sure that our new home will be filled with Christmas so that he will still have some Christmas spirit. That just gives me one more reason to make sure I have lots of cute little Christmas décor for our home. 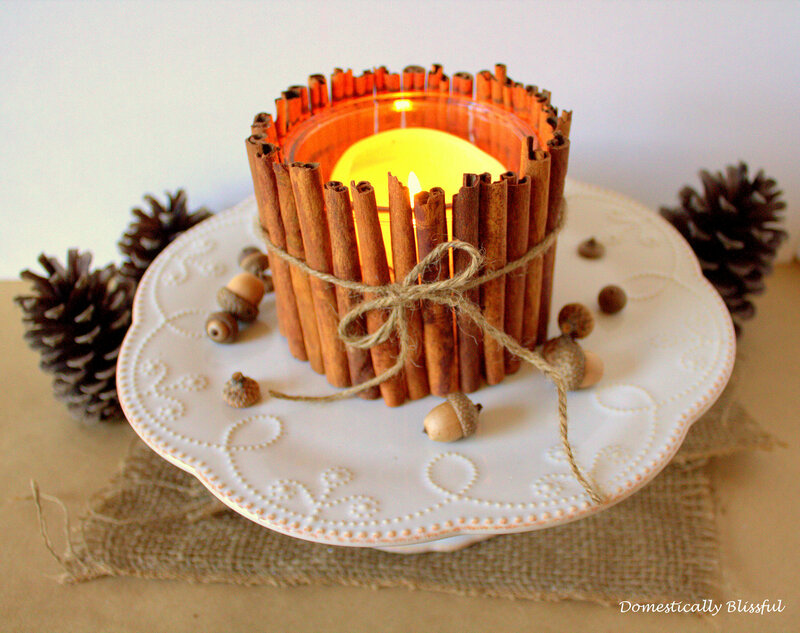 This Cinnamon Stick Candle Holder is super simple to make and is even easier to make than this Fall Candle Holder, plus it is so Christmassy! Candle Holder – Instead of throwing away the glass after a candle no longer has any wax or wick left in them I like to reuse old glass candleholders for these types of projects. Why throw away something that is perfectly reusable! Twine, lace, string, or raffia. First, make sure the cinnamon sticks are at the height you want them to be. If they are too tall for the candleholder use a sharp knife to carefully cut them down to size. 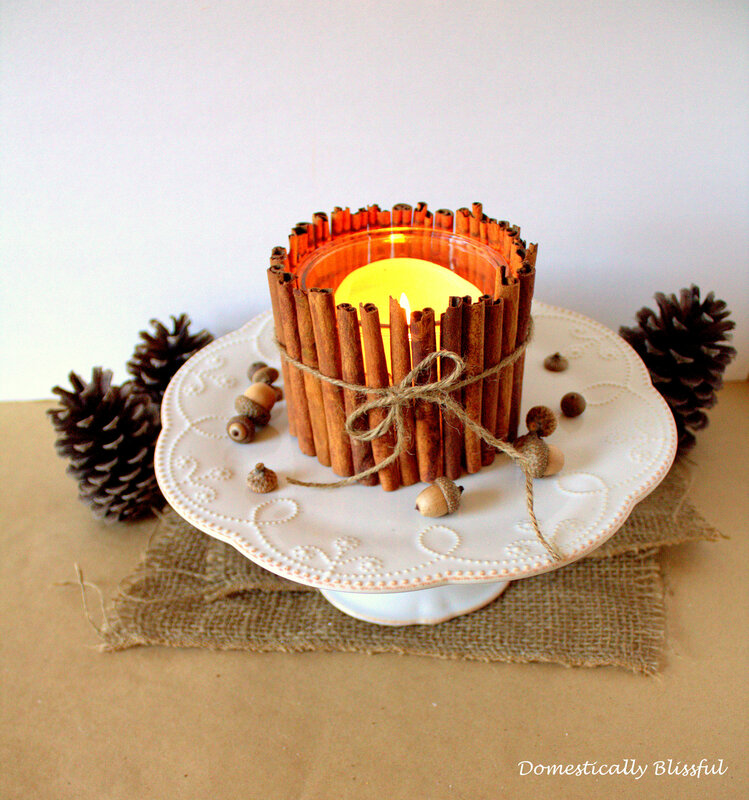 Next, glue the cinnamon sticks around the glass candleholder so that it is completely covered. 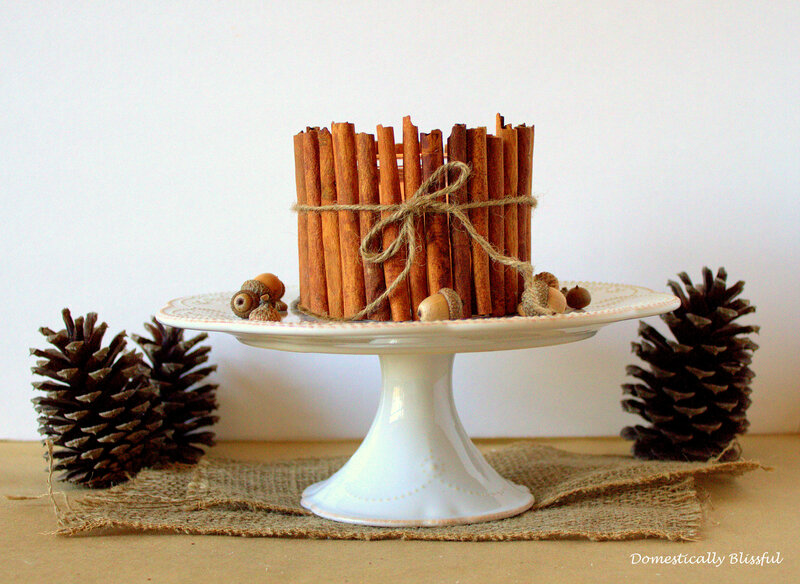 Wrap the twine around the cinnamon sticks and tie a bow. Place your favorite Christmas candle inside your new Cinnamon Stick Candle Holder and the sweet smell of Christmas!